March 30, 2015, PGGM and RPMI Railpen Investments: "Model Board Policy"
April 24, 2013, Deborah Gilshan of Railpen Investments and Catherine Jackson of PGGM Investments posting in The Harvard Law School Forum on Corporate Governance and Financial Regulation: "A Call on U.S. Independent Directors to Develop Shareholder Engagement Strategies"
It’s shareholder meeting season again, corporate America’s version of Groundhog Day. This is the time of year when company directors venture out of the boardroom to encounter the investors they have a duty to serve. After the meetings are over, like so many Punxsutawney Phils, these directors scurry back to their sheltered confines for another year. This is a bit hyperbolic, of course. But institutional investors argue that there’s a troubling lack of interaction these days between many corporate boards in the United States and their most important investors. They point to contrasting practices in Europe as evidence that it’s time for this to change. As Ms. Gilshan indicated, directors at European companies routinely make themselves available for investor discussions; in some countries, such meetings are required. Many directors of foreign companies even — gasp — give shareholders their private email addresses and phone numbers. Their counterparts in the United States seem fearful of such contact. Large shareholders say that some directors of American companies refuse to meet at all, preferring to let company officials speak for them. A 2014 survey by PricewaterhouseCoopers of 863 company directors in the United States speaks to this problem. It found that only two-thirds of the directors communicated with institutional investors and that over half had not discussed company policies about such communications. Such bell-jar boardrooms are finally coming under scrutiny here. Some companies are responding to investor demands for a role in director elections by allowing certain long-term holders to nominate board members, a process called proxy access. Bank of America, Citigroup and General Electric are among the companies that recently changed their bylaws to allow owners holding a minimum of a 3 percent stake for at least three years to nominate directors. This is progress. But in Europe, investors have far more clout. For example, those holding just 1 percent can nominate directors there. And while board members at companies in the United States can keep their seats even if they don’t receive majority support in an election, directors in some European countries — the Netherlands is a prime example — must give up their posts in such a circumstance. Another difference is that shareholders’ votes on executive pay are not binding at American companies. At some European companies, they are. Board interaction with shareholders is much more codified in Europe than it is in the United States. In the Netherlands, the corporate governance code is based on the principle that a company is “a long-term alliance between the various parties” involved in it. For example, the code requires a company’s board chairman to supervise the communication process with shareholders. In Sweden and Norway, the five largest stockholders at companies receive invitations to join nominations committees convened to select potential directors. 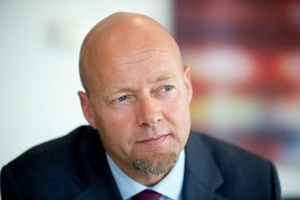 Yngve Slyngstad, chief executive of Norges Bank Investment Management, the $820 billion government pension fund, sits on two such committees: one at SCA, a Swedish consumer goods company, and one at the truck company Volvo. Of course, not all European practices are more advantageous to shareholders than those followed in American boardrooms. In Sweden and Finland, for example, boards are elected as a bloc. That means investors cannot vote against a single director; they can vote only against the entire board. It is understandable, perhaps, that directors in this country shrink from interaction with shareholders. It takes time and effort to listen to an array of views. And many directors fear that shareholders have agendas that they do not share. But establishing a dialogue with long-term investors can help a company, especially when it’s confronted with a crisis. When an activist investor starts rattling a company’s cage, for example, a board that has had no dealings with large investors must scramble to gain the support it suddenly wants. Catherine Jackson, a senior adviser at PGGM, a Dutch pension fund manager that oversees $206 billion in assets, recalled when she heard for the first time from board members of JPMorgan Chase. It was after the billions of dollars in trading losses at the bank arising from the London Whale mess became public. There seems to be a sense among directors in the United States, large investors say, that if they opened the door to engagement, they would be inundated with frivolous directives and resolutions from meddling shareholders. But evidence from overseas companies suggests otherwise. Among Dutch companies, whose shareholders have significant say on governance matters, only 14 shareholder resolutions have been put to votes at annual meetings in the last four years. Given the refusal by many boards in the United States to grant shareholders access, it may not be surprising that dissatisfaction with directors is on the rise even though most companies can point to generally positive financial results during the recovery from the financial crisis. A recent proxy season preview published by Broadridge Financial Solutions and PricewaterhouseCoopers analyzed the results of 1,077 public company shareholders’ meetings held in the last six months of 2014. The study found that 125 directors at 45 companies failed to receive support from a majority of shares voted. 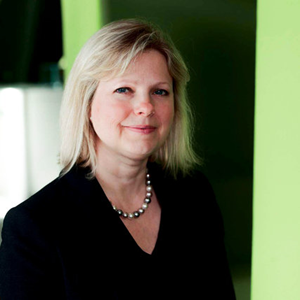 This was a 26 percent increase from 99 directors at 53 companies during the 2013 mini-season. Ms. Gilshan at RPMI Railpen and Ms. Jackson at PGGM have drafted a policy on boards’ engagement with shareholders that they hope companies will make their own. It sets out how directors and shareholders should communicate effectively and lays out appropriate topics for discussion. These include executive compensation, board committee structure, succession planning and the board’s role in overseeing corporate strategy. While there isn’t any proof that interactions between directors and large shareholders raise a company’s value, Mr. Slyngstad of Norges Bank said it was a matter of common sense. A version of this article appears in print on March 29, 2015, on page BU1 of the New York edition with the headline: Time to Coax the Directors Into Talking.